To expensive equipment to serve you faithfully for many years, it is required for the proper care! At your request, employees JSC "E&ET" UKRENERGOCHERMET® "(UECHM) develop and carry out a full range of services in reconstruction, modernization of water treatment plants, carry out work on the prevention of corrosion of metal heat-power equipment, as well as work to prevent sludge formation, scale and deposits steam-power equipment tract. production correction water treatment plants. The reconstruction and commissioning of chemical water treatment at steel plants will significantly reduce ownership costs for chemicals, as a result, significantly reduce the need for acid-reducing corrosion of reinforcement and heat power equipment. 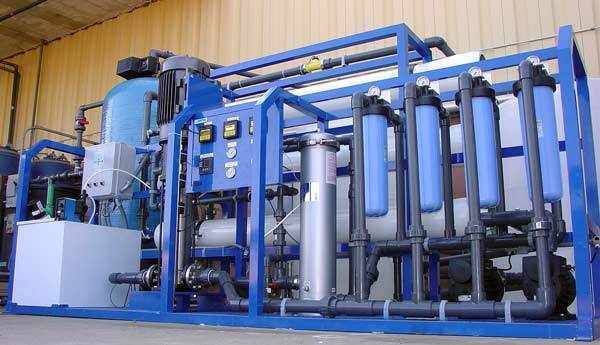 for the chemical treatment of water circulating cooling.